How do we begin to comprehend the unfathomable mystery of the eternal Creator of the universe setting aside his glory, emptying himself, and entering into his creation as a vulnerable child? 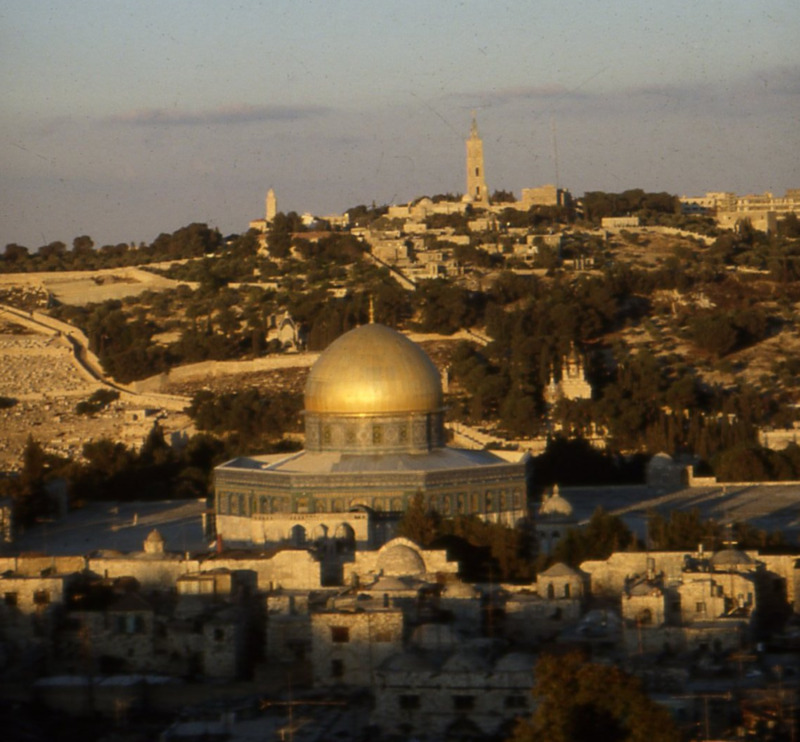 One way is to visit the historical places connected to this momentous birth and prayerfully reflect with others on the events that happened there. And so we began our exploration of the life of Jesus by visiting the cave in Bethlehem which the earliest records indicate was the place where Mary gave birth to Jesus and laid him in a manger. We drove outside the bustling city of Bethlehem to reflect and worship on the serene hills of the Shepherd's Fields where the angelic hosts proclaimed the glory and good news of this history-changing birth. After an amazing middle eastern feast, served to us by an extended family of Palestinian Christians in the village Bet Sahour, we finished our day by climbing up the Zealot tunnels into Herod's mountain fortress called Herodium. There we noted the profound contrast of a king willing to kill babies to keep his desperate grasp of power and a King willing to lay down his life in order to give away his power to those who would use it for good. Standing in front of the 5th century Church of the Nativity in Bethlehem we pondered the unlikely survival of this place of worship in spite of all the hostility Christians in this place have endured. One of many depictions of Jesus' birth adorning the massive walls of the ancient Church of the Nativity. The modern chapel at the Shepherd's Fields, built over the fourth century cave which may have been used by the shepherds who first heard the news of Jesus' birth. Taking some time to worship and reflect under shady trees while looking out over the serenity of the Shepherd's Fields. Exploring the newly excavated tomb of Herod the Great at his impressive mountain fortress called Herodium. Two lovely ladies infiltrating Herod's fortress through the Zealot Tunnels! 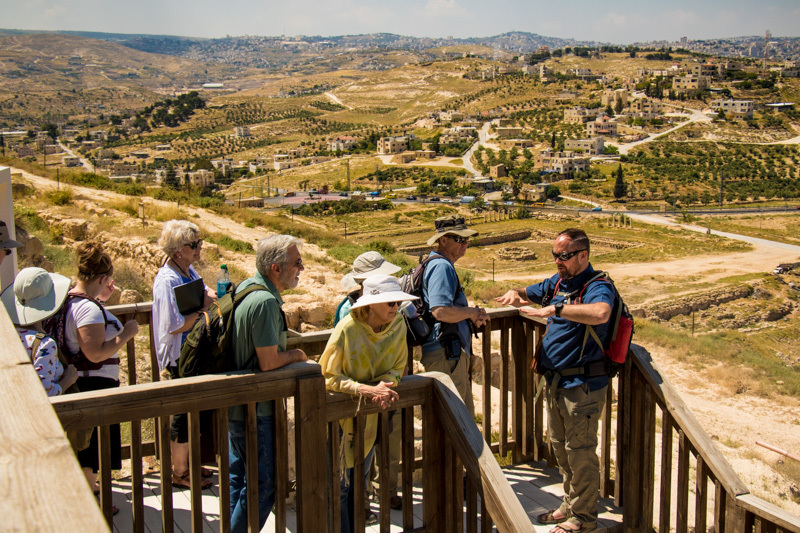 The panoramic view of Bethlehem and the surrounding area from the top of Herodium.